I moved to Yorkshire after marrying into a mining family in 1995. We had three children within four years and all were raised and educated in Wakefield. 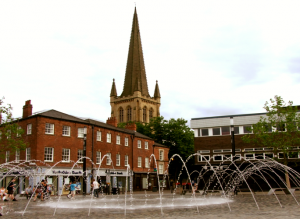 I started my own business in 2002 – an independent travel agency on the Wakefield High Street. My aim was to provide the highest standard of customer service to the local community. The Bull-Ring in Wakefield City Centre, the site of my first travel agency. 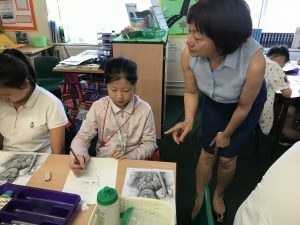 Using artwork from the National Coal-mining Museum to inspire Chinese students in Chengdu. As a governor of Crigglestone Dane Royd Junior and Infant School School, and West Bretton Primary and Infant School – I’m a strong believer in the value of high-quality education from an early age. The doors which a good education can open for the next generation are so important for them to realise their potential, and consequently, I aspire to work with local educators and institutions in our shared goal of providing a first-rate education to the youth of Wakefield. A strong system of social support is a vital aspect of the Wakefield community, particularly for the most vulnerable members of our society. 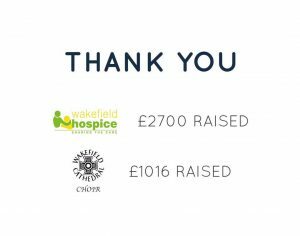 As a local business woman, I’ve been able to use my position to promote the interests of charities such as the Wakefield Hospice, whose work provides a vital aspect of the support we offer here in Wakefield. In my role as a Local Councillor, I hope to continue to lend my voice to the cause of those who need our care. Fundraising for some of the great causes in the Wakefield area with our annual Dinner, putting the network of friends I’ve gained through my business to good use. 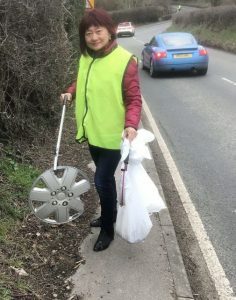 Picking up rubbish by the side of Blacker Lane – armed with a litter-picker and bin bags! The natural spaces in and around Wakefield are an invaluable part of our area’s identity. As a resident, I have enjoyed being so close to the green spaces, waterways, and trails through the natural areas of our region, and I hope that this experience will remain available for generations to come. Because of this, it is my intention not to let these areas be lost through littering or industrial development in the future. Involvement in our local political scene has led me to believe that the Wakefield Council ought to be held accountable to setting justifiable Council Tax rates to its constituents. 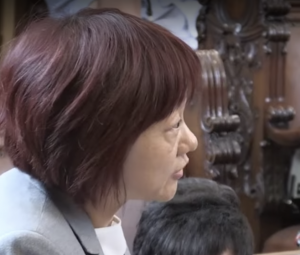 In this respect, I appreciate the opportunity my role has provided me to add my voice to the debates on such issues, and I shall continue to hold them accountable to this end in all meetings of the council. Standing up in the council chambers in defence of the views of my ward’s constituents. Cllrs Harvey, Sanders and Holwell were joined by an enthusiastic team of volunteers. Campaigning in Horbury and Ossett with Cllr Margeret Howell and Cllr Samantha Harvey. Cllr Harvey joins Cllr Ahmed in South Ward for a spring clean.